HMH Books for Young Readers, 9781328485427, 32pp. From celebrated picture book creator Marla Frazee, here is a playful glimpse into the life of Santa Claus, now in a board book edition. 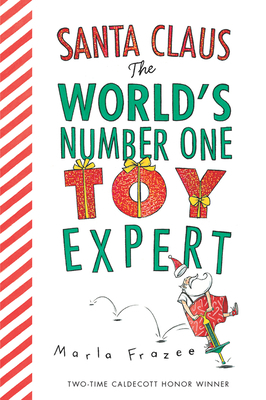 He knows because he's the world's number-one kid and toy and gift expert, and he works long, long hours the whole year through, taking notes, compiling his research, thinking and testing and changing his mind. Then, at last, he gets it all figured out, and on Christmas morning, he makes magic happen. Celebrated author-illustrator Marla Frazee's fresh, lively take on a traditional subject is sure to become a favorite with young believers everywhere. With delicious humorous moments and a warm, unexpected ending, this book is truly a Christmas treat.